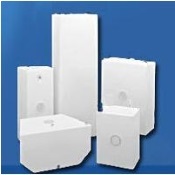 RV Holding Tanks come blank (No Fittings Installed). TRIONIC offers an extensive line of Marine and RV water and holding tanks to meet most size and durability requirements. 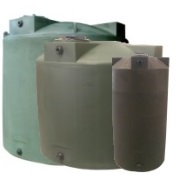 All tanks are rotationally molded of a seamless one piece, non-corrosive linear polyethylene that meets FDA acceptance and complies with Coast Guard regulations. 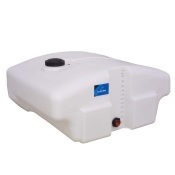 Each water tank has one 1/2" supply opening, one 1-1/2" fill opening and one 1/2" vent. 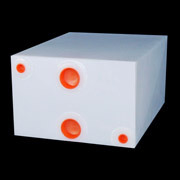 Each holding tank has one 1/2" vent and has two 1-1/2" openings. Openings on all tanks are female National Pipe Threads (NPT) and are located on one end of the tank. We offer custom fitting locations. 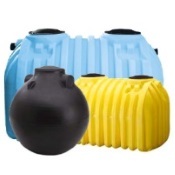 All of our tanks are guaranteed to be extremely durable and will not collapse when emptied with high capacity pumps. 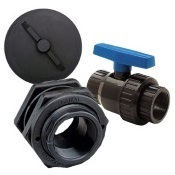 Click here for Holding Tanks Kit Fittings(Threaded Fittings) - The easy way to install the size fitting you need, where you need them! 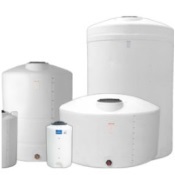 *click here--for tank installation guidelines.